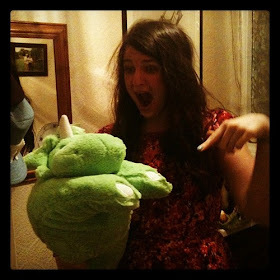 t*rexes and tiaras: You make the sun shine on me..
Having spent all day out at the seaside on Saturday, the last thing I felt like when I got home at 7.45pm was to be rooting through my wardrobes on the hunt for something to wear to the party. Luckily I'd been to collect this skirt from the post office the previous day, so I knew without a doubt what I'd be wearing and was ready to go at 8pm when a friend came to pick me up. When I first saw this skirt online, the window effect floral print had reminded me of a print Ted Baker had used last year. And also of seed packets. (Which I know is the point.) I overcame my reservations about dodgy quality and / or sizing and ordered it recently, before promptly forgetting about it until the parcel card arrived with an "international item" to sign for. I was super impressed with the size - I ordered a M based on the measurements and the fact that I prefer skirts to sit lower than my natural waist. It's plenty big enough and I had no trouble at all zipping it up. The other nice thing is the fabric; a gorgeous satin with a full lining and some net underneath, which I supplemented with a net petticoat as well, for a super-full skirt. 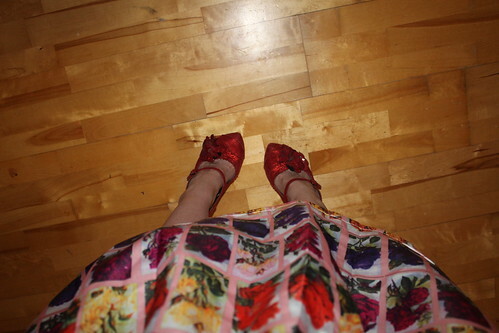 I picked out the red colour of the rose pattern with these red metallic courtesan heels, which I always forget I own. They were a surprise gift from a man-friend many years ago now and I like them more than I remember, each time I wear them. I'm never quite sure about this tinsel crop top, but thought that I could (hopefully) get away with it paired with the high-waisted nature of the skirt. I do like it's texture, I just freak out when it comes to anything which shows any flesh. The necklace is rather an old one, picked up from the Topshop in the Manchester Arndale centre on one of my weekly visits as a Uni student. It's been years since I last visited the Arndale centre - funny how your routines can change. Anyway, a fairly simple party outfit worn for a really fun evening. 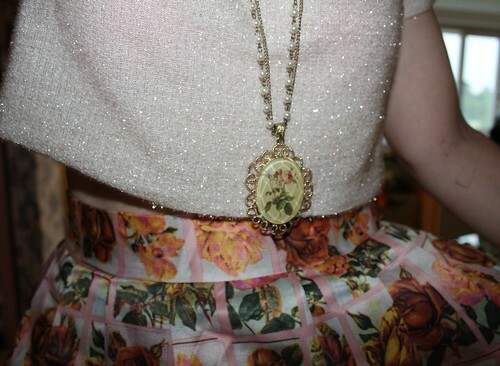 The skirt's awesome! I LOVE it. And especially with that top. I'm so so so much happier with it than I even thought I'd be when I ordered it! I can't cope. I don't know what to comment about first haha. 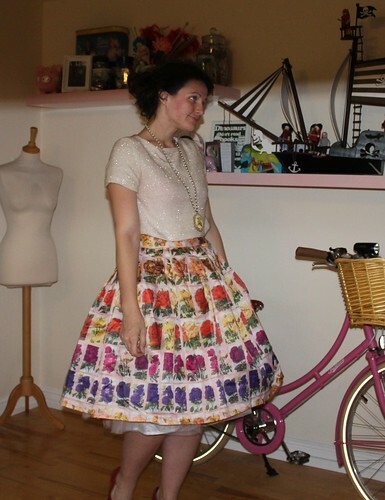 The skirt or the bike or the MARIA in the background. I thought bikes and skirts like that only existed in Disney movies. (I have a dressmakers mannequin and she is called Maria). Hahaha, thanks for commenting. 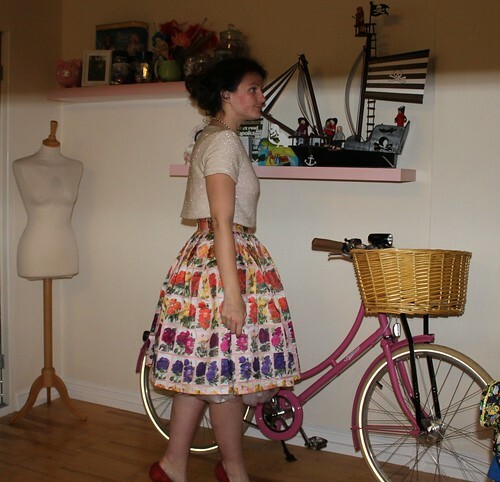 My mannequin is called Gladys (named by my friend after that scary picture in an episode of Friends) and aww, thanks (I think) re the bike and skirt. The bike is a Pashley and since I got mine about 6yrs ago, it seems to have become the blogger bike of choice, so I always feel like a bit of a cliche. But hey ho. Haha! I the bike is awesome! I don't know if I could get used to one like that though as I have a road bike and that took me long enough to get used to. I'd probably look a bit odd kitted up in my bib shorts and cycle jersey on a bike like that! What an amazing skirt! Love it Chat. 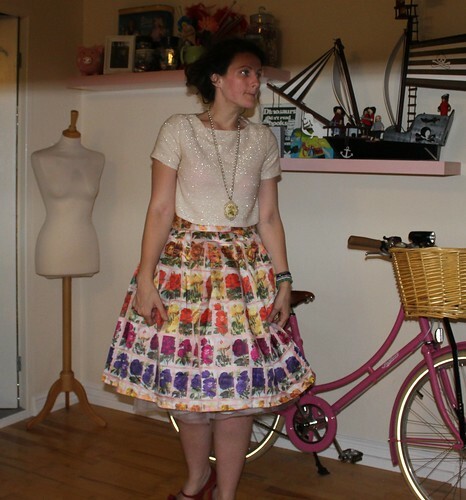 I too hate buying stuff online from these new store they seem to fit perfect on everyone but me :( i do love that skirt and the shoes especially your shoe collection always amazes me :) is there an underskirt/petticoat with that or just a trim? I wore the skirt over a tulle net petticoat for some extra volume but the petticoat was a little longer than the skirt so could just about be seen. Thanks, Kezzie. Isn't it funny, I keep thinking I'm not keen on that top and yet it does seem to be my go-to for skirts like this. I've had a look back, it's fairly clear that the print is a direct copy! I;m already trying to think of more ways to wear the skirt. I remember this from seeing it on Instagram. It looks absolutely stunning. It's great to have outfits that you know will just work - especially when you only have 15 minutes to get ready! 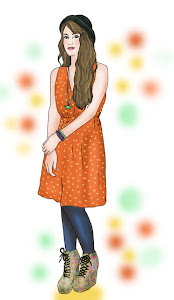 Thanks, that was why I planned my outfit before, I don't take that long to actually get ready as I never bother with make up or anything but I do sometimes spend a lot of time picking out what to wear and I knew I was going to be rushed. Thanks, I was so impressed by the quality of the fabric! Lovely, it looks stunning on you!